£50 Million will be channelled into funding infrastructure projects and restoring stability in Iraq. The Ministry of Oil aims to invite international companies to invest in and contribute to the exploration, development and production of nine border patches. Clarification ... OPEC and oil contracts! The Minister of Oil Meets with the British Delegation. The Minister of Oil Meets with the Algerian d’affaires. Basrah Oil Signs a Memorandum of Cooperation with Chevron to Develop Majnoon Field. The Minister of Oil Meets with the Director General of ENI Italian Company. The Ministry of Oil Declares the Oil Exports for July 2018. The Minister of Oil Meets with the Ambassador of South Korea. Mr. Al Luiebi Orders the Secondary Contractor Companies to Provide Jobs in West Qurna 2. Mr. Al Luiebi: The Oil Exportation Was High During the First Half of 2018. The Ministry of Oil Signs the Final Contract Form with Jinhua Chinese Company. HEESCO Signs Sharing Contracts with 3 International Companies. The Ministry of Oil Signs a Contract with BP to Develop Kirkuk Fields. The Minister of Oil: The importation of Diesel will be Stopped Because Iraq Produces it. Mr. Barkindo Visits Imam Ali Shrine in Najaf Governorate. The Ministry of Oil Declares the Oil Exports for February 2018. Iraq Ministry of Oil News: The Minister of Oil Meets with the Vice President of CNOOC. The Minister of Oil orders to Build a New System to Protect the Oil Pipelines Network. The Ministry of Oil Holds a Workshop about the E Governance. The Minister of Oil: Initial Agreement to Export Oil from Kirkuk to Iran. The Iraq Ministry of Oil News: Ministry Declares the Oil Exports for September 2017. The Minister of Oil News: Minister of Oil Meets with the Special Representative of the World Bank’s Delegation. Ministry of Oil News: The Minister of Oil Meets with the CEO of Sonangol Angolan Company. Ministry of Oil News: The Minister of oil Meets with the CEO of Aurion American Company. Ministry of Oil News: The Minister of Oil Meets with the international director of Shell Company. Ministry of Oil News: The Ministry of Oil Signs a Contract to Supply Ninawa Governorate with Electricity. Iraq Ministry of Oil News: The Minister of Oil Meets with a Delegation from the World Bank. Iraq Ministry of Oil News: Mr. Allibi:The Oil Ministry: the Exportation from Al Amya Port Raises to More Than 1 Million B D.
Iraq Ministry of Oil News: The Minister of Oil Meets with the British Ambassador to Iraq. Iraq Ministry of Oil News: The Minister of Oil Visits the Basrah Oil Terminal. Iraq Ministry of Oil News: The Ministry of Oil Declares the Primary Statistics of the oil Exports for March 2017. Iraq Ministry of Oil News: The Minister of Oil Meets with a delegation from Bi Water British Company. Iraq Ministry of Oil News: The Minister of Oil Declares the Extinguishing of the Last Well in Qayara. Iraq Ministry of Oil News: The Ministry of Oil Declares its Final Exports and Outcome for February 2017. Iraq Ministry of Oil News: The Minister of Oil Orders to Start the First Phase of the Muftiya Tourism Project. Iraq Ministry of Oil News: The Minister of Oil Sends a Telegram to the Prime Minister. Iraq Ministry of Oil News: Minister of Oil Participates in Chatham Energy Workshop in London. Iraq Ministry of Oil News: Clarification about the Establishment of the Two Oil and Gas Companies. Iraq Ministry of Oil News: The Minister of Oil Declares the Accomplishment of the Draft of the Oil and Gas Law. Iraq Ministry of Oil News: LPG Production Elevates to 5350 Tons and the Associated Gas Investment to 1300 MSCF. Iraq Ministry of Oil News: The Global Energy Forum is a Chance to Exchange Thoughts and Discuss Geopolitical Changes. Iraq Ministry of Oil News: The World Bank Praises the Iraqi Efforts Of Investing Gas. Iraq Ministry of Oil News: The Extinguishing of the Well No.66 in Kayara Oil Field. Iraq Ministry of Oil News: The Minister of Oil: Our Relations with Turkey Will Be Developed Positively. Iraq Ministry of Oil News: The Ministry of Oil Exports 22.724 Cubic Meters of C5 Condensed Gas. Iraq Ministry of Oil News: Mr. Allibi: Iraq Starts Cutting Oil Production Soon In Line With the Decisions of OPEC. Iraq Ministry of Oil News: The Minister of Oil Meets with the Indonesian Ambassador in Iraq. Iraq Ministry of Oil News: The Ministry of Oil Declares its Exports For September 2016. 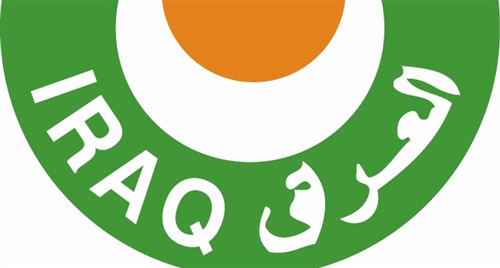 Iraq Ministry of Oil News: Publishes Total Quantities of Liquefied Gas and Condensed Gas for 2016. Iraq Ministry of Oil News: The Iraqi Delegation Signs the Meeting Minutes in Kuwait about the Joint Oil Fields. Iraq Ministry of Oil News: The World Bank Praises the Iraqi Efforts in Investing the Associated Gas Perfectly. Iraq Ministry of Oil News: The Minister of Oil Declares for Extinguishing the Well No. 68 in Qayara Oil Field. Iraq Ministry of Oil News: The Minister of Oil Participates in the Ministerial Council Meeting of OAPEC in Cairo. Iraq Ministry of Oil News: The Minister of Oil Meets with the CEO of Exxon Mobil Company. Iraq Ministry of Oil News: The Minister of Oil Meets with the CEO of Kogas Company. Iraq Ministry of Oil News: The Minister of Oil Meets with the German Ambassador in Iraq. Iraq Ministry of OIl News: Cut in Production Can Stabilize the Oil Market and Raise the Prices. Iraq Ministry of Oil News l: the arrival of the firefighting equipment from Kuwait to Iraq. Iraq Ministry of Oil News: The Initiation of Rehabilitating the Oil Facilities in Qayara. Iraq Ministry of OIl News: The Minister of Oil Meets with the CEO of Gazprom Russian Company. The Iraq Ministry of Oil News: The Ministry of Oil Signs An Associated Operation Agreement For Zubair Oil Field. The Iraq Ministry of Oil News: The Minister of Oil Confirms on the Necessity of Strengthen the Relations with Algeria. The Iraq Ministry of Oil News: The Minister of Oil Directs to Make an Urgent Plan to Restart Kayiara Fields. The Iraq Ministry of Oil News: The Minister of Oil Directs SOC to Rehabilitate and Develop the Area Around Al Amia Port. The Iraq Ministry of Oil News: The Oil Minister Forms a Higher Committee to Review the International Market Oil Prices. The Iraq Ministry of Oil News: The Minister of Oil Meets with the Delegation of the Korean Companies Consortium. The Iraq Ministry of Oil News: The Minister of Oil Meets with a Delegation from Gazprom Russian Company. The Iraq Ministry of Oil News: The Minister of Oil Meets with the Italian Ambassador in Iraq. The Iraq Ministry of Oil News: The Minister of Oil Meets with the Business Manager of Mitsubishi Company. The Iraq Ministry of Oil News: The Minister of Oil Meets with the Manager of Shell Company The Branch of Iraq. The Iraq Ministry of OIl News: The Minister of Oil Meets with a Delegation from Kuwait Energy Company. The Ministry of Oil News: The Deputy Oil Minister Makes an Inspection Visit to the Midland Refineries Company. The Iraq Ministry of Oil News: The Financial Experts Board Praises The Calibration and Measurement System Application. The Iraq Ministry of Oil News: The Ministry of Oil Exports the Third Shipment of the (C5) Condensed Gas. The Iraq Ministry of Oil News: The Ministry of Oil Organizes a Celebration for the Launching of “Connection” Project. The Iraq Ministry of Oil News: The Deputy Minister for Gas Industry Declares for a Higher National Gas Production. The Iraq Ministry of Oil News: The Ministry of Oil Registers a Record Elevation in the Daily Products of April 2016. The Iraq Ministry of Oil News: Maysan Oil Company Accomplishes 5 New Wells in Halfaya. The Iraq Ministry of Oil News: The Production of Badra Will Elevate within the End of This Year. Chief Executive of UK Export Finance: $750US million Available in export credit cover available to UK businesses for contracts in Iraq. Oil Minister Adel Abdul Mahdi orders a cut in development spending for oil firms in Iraq. Oil Minister meets with President of Univeristy of Technology and department directors. South Oil Company to buy out Occidental's stakes in Zubair Oil Field.